Description: Swisscontact (www.swisscontact.org) is a Swiss Foundation for Technical Cooperation established in 1959 as an independent organization promoting economic, social and ecological development. Swisscontact supports interventions enabling people to successfully integrate into local commercial life hence open up opportunities for them to improve their living conditions as a result of their own efforts. Swisscontact concentrates on four core areas of private sector promotion which include Skills Development, SME Promotion, Finance Inclusion and Resource Efficiency. Swisscontact has over the years implemented several projects in Tanzania mainly in the area of Skills Development and Financial Inclusion. Prepare payment vouchers describing nature of payment and proper accounts codes. · Prepare cheque, bank transfers and letters to the bank. · Post clearly all transaction into SextANT ensuring that records are accurately kept. · Reconcile bank account balance to account statement balance. count from time to time, reviewing appropriateness and validity of supporting documents. · Prepare monthly payroll incl. contribution to pension funds and income tax. Improve Swisscontact’ s existing financial system to enable better accounting. · Respond to any queries arising regarding the submitted reports. · Prepare budget comparison reports and instantly submit to Program Manager and Project Coordinators. · Respond to audit queries and clarify any raised issues. Assist Program Manager and Project Coordinators to prepare cash advance request for HO by the 25th of very month. Examine budget comparison report every month and forward to and discuss with Program Manager/Project Coordinators. Prepare and maintain asset register ensuring that all assets are recorded accurately i.e. value, condition and location of the asset is well known and up-date it accordingly. completion and that no new advance is given to a person who has unsettled liability. Submit all statutory payments on time i.e. NSSF, PPF and GEPF contributions, HESLB, P.A.Y.E, SDL or other withholding taxes to TRA. electricity and communication bills and other maturing obligations. Up-date and check time control, annual leave records and vehicle log books. Organise audits on a half-yearly and yearly basis according to HO instructions. Possession of financial report writing and situational analysis skills with demonstrated experience in preparation of books of accounts, financial reports and budget variance analysis. Proven ability to collaborate well and to deliver work in a timely manner. Minimum 10 Years of professional experience as an Accountant / Manager / Auditor. 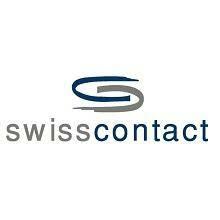 Swisscontact offers: a competitive salary and benefits and one-year contracts, renewable annually for the project duration based on performance; opportunity to grow professionally in an international development organisation. Please note that only pre‐selected candidates will be contacted.